Kathy Anderson began her career in Arts Management over 20 years ago as a student in the Music Industry program at Minnesota State University Moorhead, graduating with a Bachelor of Music degree in 1991. 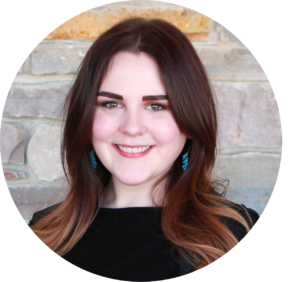 As a junior in college, she interned at Trollwood Performing Arts School and has since held numerous management roles in both the non-profit and for-profit industries. Kathy has been at the helm of Trollwood Performing Arts School since the fall of 2009. 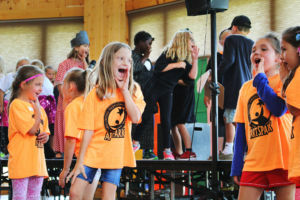 Under Kathy’s leadership, Trollwood has expanded its arts educational offerings through the creation of programs such as the Trollwood Conservatory, Totally Trollwood Academy, and the Trollwood Children’s Theatre. Kathy was also instrumental in starting the nationally recognized STudents At Risk (STAR) program for Trollwood back in 1997. Kathy has served in the role of producer for several Trollwood Mainstage Musical productions including Anything Goes (2010), The Music Man (2011), Legally Blonde (2012), Shrek (2013), How to Succeed in Business Without Really Trying (2014), Disney’s Mary Poppins (2015), Disney’s The Little Mermaid (2016), Disney’s Beauty and the Beast (2017), Hello, Dolly! (2018) and is currently working on Freaky Friday (2019). 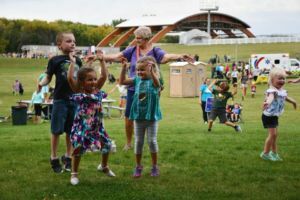 In the Fall of 2012, Kathy was asked to take on a larger role at Trollwood and oversee the management and programming of the venue, currently known as Bluestem Center for the Arts, as well as oversee all aspects of fundraising and development for the organization. Previously, Kathy held the position of Executive Director for the Cass County Historical Society and Bonanzaville USA (1997–1999). Under Kathy’s direction, Bonanzaville underwent a major renovation and also secured the initial vision and funding for the development of the Lucien Barnes Pavilion at Bonanzaville. 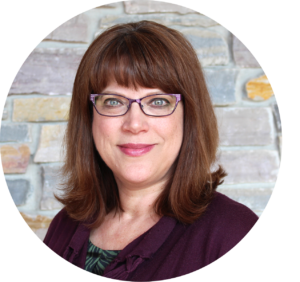 In addition to Kathy’s roles in the non-profit industry, Kathy worked for Microsoft (2000–2005) where she was a Technical Support Engineer and Technical Lead for the accounting package Great Plains prior to returning to Trollwood as the Director of Administration in the spring of 2005. In addition to her professional arts management career, Kathy enjoys making music as a singer/songwriter. Kathy also loves spending quality time with her husband, Jim, and daughter, Jessica. Nancy has been involved with Trollwood as a volunteer and parent since 2003. She started her role on the Trollwood staff in January, 2008 as the Events and Volunteer Services Coordinator. In the fall of 2009, Nancy took on the role of Program and Volunteer Services Coordinator for Trollwood. In her new capacity, Nancy continues coordinating all volunteer efforts and also oversees the youth arts programs of Trollwood including coordinating all aspects of the Trollwood Academy, Totally Trollwood Academy, Totally Trollwood Musical, Trollwood Conservatory, Trollwood Children’s Theatre, ArtSpark, the STAR program, and the Trollwood Student Leadership program. Nancy is responsible for developing curriculum, as well as hiring and managing the faculty for all of these key Trollwood programs. The parts of her job she enjoys the most include working with all of the wonderful students and volunteers that make up the Trollwood family. Her previous employment was with the Muscular Dystrophy Association where she served as Health Care Service Coordinator, running the MDA Clinic and Summer Camp programs. Prior to being employed by Trollwood, Nancy spent numerous hours volunteering for the organization. She served as the volunteer Ambassador Chair, assisted with poster distribution, Sun Celebration, Tech Week meals, mic wiring, concessions, set construction, the holiday card mailing, and more. 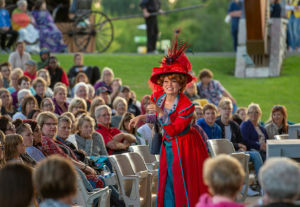 Her love of theatre began at Fargo North High School where she performed is several shows. 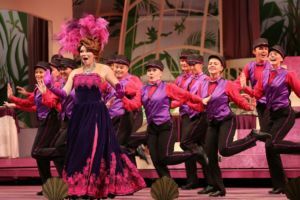 During college, she was a member of the North Dakota Repertory Theatre and also performed in shows at NDSU and at FMCT. In March of 2015, John relocated to the Fargo-Moorhead area from Omaha, Nebraska to take on the position of Building Engineer here at Trollwood. As the Building Engineer, John’s many responsibilities include maintaining the 38 acres of land along with the machinery and equipment that are essential for keeping up the grounds. Other duties include cleaning the building and maintaining the interior of the facility as well as performing routine maintenance throughout the property. He is also responsible for setting up and tearing down stages, tables and chairs for the many events that take place throughout the year at Trollwood. 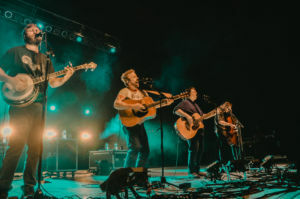 As part of the events team, John helps oversee the Bluestem Amphitheater, which holds approximately 3,000 people during the summer concert season, which typically runs from May through October. 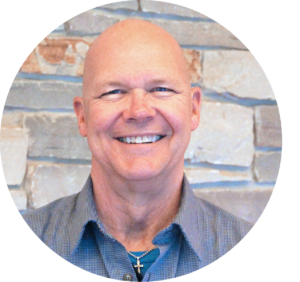 Before John joined the Trollwood Administrative Team, he worked in Omaha, Nebraska for 16 years at a Fortune 500 company as a Building Engineer. John has held a First Grade Stationary Engineer’s License since 2008 and prior to that he held a Third Grade Stationary Engineer’s License. 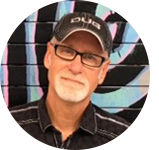 He also has a 2 year Associate’s Degree in Welding Fabrication and Technology and has an Associate Preprimary Credential from the American Montessori Society. In his free time, John loves to ride motorcycles and work with his hands. John’s family is everything to him and he loves spending time with his wife Kathy, son Jake, daughter Kersten, daughter-in-law Allison, and his two Granddaughters, Jaiden and Cynthia. Kelsy Hewitt is originally from the Fargo-Moorhead area and is excited to be an integral part of Trollwood Performing Arts School! Kelsy is an alum of Trollwood participating both on and off-stage for 5 years (04’ – 09’); she has also worked in the Costume Shop in multiple facets from 2012-2013. Kelsy holds an Associate Degree in Fashion Design (12’) from The Fashion Institute of Design and Merchandising in Los Angeles, and a Bachelor of Fine Arts with an emphasis in Costume Design (15’) from North Dakota State University. Kelsy has been very involved with the arts community in Fargo-Moorhead working with numerous arts organizations by designing and constructing the costumes for many musicals including Footloose (Gooseberry Park Players), Rent (West Fargo Summer Arts Intensive), Tarzan (Moorhead High School), and Fancy Nancy (Fargo-Moorhead Community Theatre). 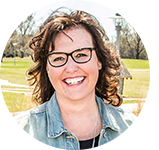 As Community Relations Coordinator of Trollwood, Kelsy works together with Kathy Anderson, Executive Director, to help build the relationships and financial foundation that is needed for Trollwood to be successful now and into the future. Kelsy is also responsible for coordinating all of the private, public, and in-house events that are hosted at Trollwood. Outside of the office, Kelsy loves to spend time with her family and travel. Kelsy is thrilled to be given an opportunity to work for a great arts organization, and is excited for the future we can create for our community. Joie Sherman is professional songwriter, performer and educator. 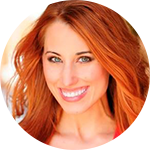 A graduate of the University of Oklahoma’s A. Max Weitzenhoffer School of Musical Theatre, she has had the distinction of working and performing with top Broadway artists, directors and producers. In addition to her career onstage (both in live music and theatre), she worked on the other side of the table as director for The Switzer Talent Agency for five years, where she represented national talent for film, television, print and stage work. Joie’s music and vocal talents have been featured in films, commercials and radio. She has also taught private voice and musical theatre courses at the award-winning Studio of the Sooner Theatre.